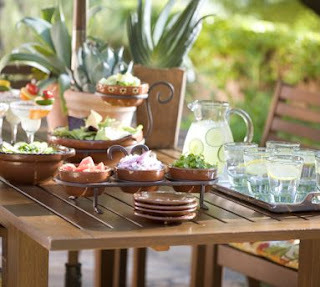 Party ideas, recipes, tips and products for throwing a casual party. Shake with ice in cocktail shaker, pour over ice into a chilled, salt rimmed margarita glass and then add a lime wedge. They also have movie night, cocktail party, dinner party and bridal shower themes. They have great recipes and ways to set up your table.